The International Triathlon Union (ITU) has renewed its contract with NTT Group, with the Japanese telecommunications becoming a global partner of both ITU and the ITU World Triathlon Series from 2018 until 2020. NTT, which joined up with ITU as a global partner in 2016, will continue to serve as ITU’s exclusive communications and systems integration partner. As part of its strategy leading up to the Tokyo 2020 Olympic and Paralympic Games, NTT will also acquire rights at various triathlon events in Japan, Asia and worldwide. Brokered jointly by ITU and its Japanese National Federation, the Japan Triathlon Union (JTU), the deal extends the partnership so that NTT Group will be the global partner on all ITU’s World Triathlon Series, which this year comprises eight events. 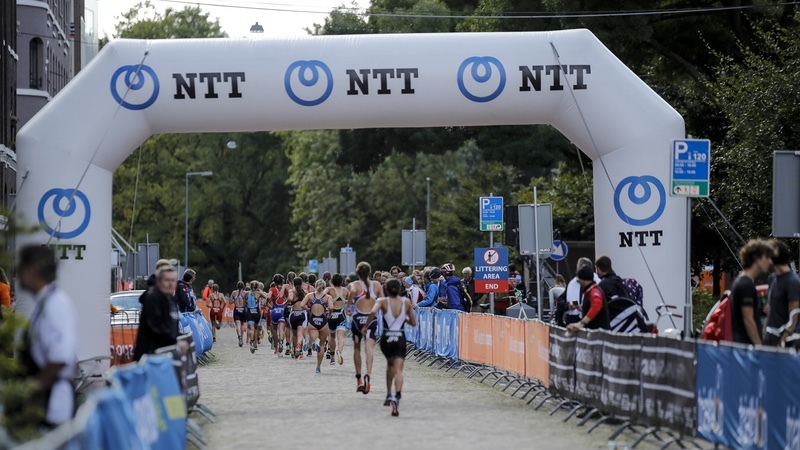 NTT Group will showcase its products and services to a global audience of sport fans thanks to the partnership including the top-tier series of races for ITU, the World Triathlon Series. NTT will be the exclusive communications and systems integration partner at all ITU World Triathlon Series races in 2018, and the NTT Group will look to develop the partnership towards 2020 and beyond in an effort to improve the athlete and fan experiences at ITU events worldwide. In 2015, the NTT Group was appointed as the first Gold Partner of the Tokyo 2020 Olympic and Paralympic Games to serve as the official telecommunications services partner of the organising committee. The ITU World Triathlon Series in 2018 will consist of eight events across the world, attracting over 40,000 participants – among them the top elite triathletes of the world, and most of the Olympic contenders – and some 1.5m spectators worldwide. This year, the series started in Abu Dhabi on March 2, and will showcase events in Bermuda, Yokohama (Japan), Leeds (UK), Hamburg (Germany), Edmonton (Canada), Montreal (Canada) and the Grand Final in Gold Coast (Australia). This year will also mark the start of the brand new ITU World Triathlon Mixed Relay Series, with events in Nottingham (UK) and Edmonton (Canada), as well as the World Triathlon Mixed Relay Championships held in Hamburg (Germany). This event, which has been included in the Olympic programme for the Tokyo 2020 Olympic Games, will bring together teams of two men and two women, with each athlete completing a super-sprint triathlon of swimming, cycling and running, before tagging off to their next team mate. ITU notes that the new format, with its non-stop action and fast pace, will help capture the imaginations of competitors and spectators alike ahead of its Olympic debut in two years.